Marko Arnautovic insists West Ham "feels like home" and has ruled out a move away from the club in January. 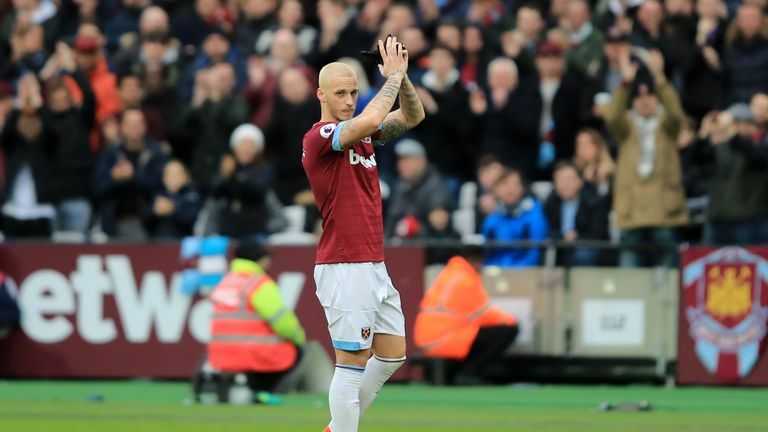 Arnautovic has attracted interest from two Chinese clubs, believed to be Shanghai SIPG and Guangzhou Evergrande, and Sky sources understand West Ham rejected a £35m bid for him earlier in the transfer window. The Hammers are believed to have told Arnautovic he can leave the club this month if they receive an offer worth £50m. However, the Austria international insists he is fully committed to the Hammers until the end of the season. "The club has pointed my career in the right direction since I joined and therefore I want to put the offers aside, help the club climb as high as possible in the table and try to win the [FA] Cup.